The purpose of this publication is to answer questions that many people have about personal injury claims and no-fault insurance benefits. We wrote this to help people be better informed about their rights when they have been injured. We have found that many people do not know as much as they would like to know about their basic rights when they have been hurt. We hope this helps by providing answers to common questions that arise following an accident. This first part of the material deals with Personal Injury cases. The second section covers "No-Fault" insurance, a type of coverage that is unique to all car and some motorcycle insurance policies. 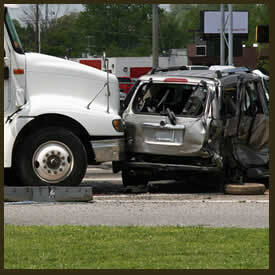 * "No-fault" insurance benefits are frequently also called Personal Injury Protection benefits. These are benefits available to you because you own an insured automobile. If you use either term, PIP or no-fault, your insurance agent, claims adjuster and lawyer will know what you are talking about. What are "No fault" or Personal Injury Protection benefits? Who is covered by PIP benefits? Do I have to be driving my car to receive PIP benefits? What happens if I am driving a friend's car that is uninsured? No-fault insurance sounds good. How do I go about claiming my PIP benefits if I am in an accident? I have a car and insurance in a state that does not have no-fault laws. I have checked and I do not have PIP benefits. 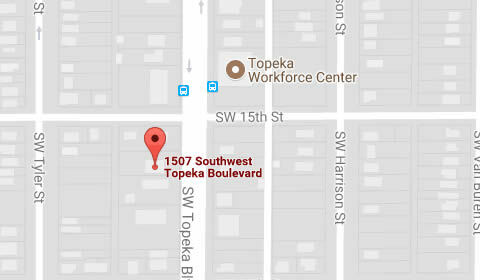 I was involved in an accident in Kansas and received an injury. What do I do? I just bought a new car, and with my luck, I had an accident two days after I purchased it. Unfortunately, it was before I could contact my insurance agent to get insurance on the car. Now what? Is "PIP" mandatory on motorcycles? What kind of benefits are available under PIP if I am injured in an accident? Are doctors of chiropractic care covered under the medical benefits? Are you saying that my insurance company might pay for me to learn a new trade? What if my spouse performs those services for me now, but he/she didn't use to? Do I still get benefits? If I am driving a friend's car and I have higher PIP benefits, which company pays? I was on foot when I was struck by another vehicle. Am I still entitled to benefits? My son goes to college nine months a year, but he lives at home in the summer. Is he still covered by my benefit? I was driving in the course of work when I had an automobile accident. My employer says I have workers' compensation benefits. Does that make a difference? If I was working when I got injured, should I not even worry about PIP benefits? Is it hard to get these PIP benefits? How long will it take to get these PIP benefits? What if my insurance company doesn't pay on time? Can I hire a lawyer or will I be penalized? Is it worth a lawyer's time if we are only a few dollars apart? I receive free medical benefits. Does that mean I can never sue? What does it mean if the insurance company brings it on my behalf? Are PIP benefits anything like uninsured motorist coverage or underinsured motorist coverage? What happens if I am not sure that I need a lawyer? Where do I get advice? If my insurance company and I don't sue anyone for this accident, do I have to pay my insurance company the money back? Should I tell my doctor that I have PIP benefits? Question: Can I hire a lawyer or will I be penalized? Injuries from accidents occur in many different settings. Sometimes the injuries arise from an automobile or motorcycle accident, other times they may occur as the result of a dangerous condition on another person's property or perhaps from the use of a product which malfunctions or is improperly designed. In the worst of circumstances, injuries can result in the wrongful death of a person leaving behind surviving family members to deal with the emotional and financial losses caused by the wrongful death. If you would like to schedule a initial consultation contact an Kansas car / boat / semi accident attorney, representing clients in Salina at McCullough, Wareheim & LaBunker, P.A. Give us a call at (785) 233-2362 or complete our inquiry form. Many people hire lawyers to help them with PIP benefits since they can be complex to understand. There are no penalties for hiring a lawyer. On behalf of McCULLOUGH, WAREHEIM & LaBUNKER, P.A. we hope this material will be of benefit to you in answering your questions relative to wrongful death. Contact one of our slip fall injury lawyers representing clients in Salina, Kansas (and throughout the State of Kansas) today to schedule your initial consultation.